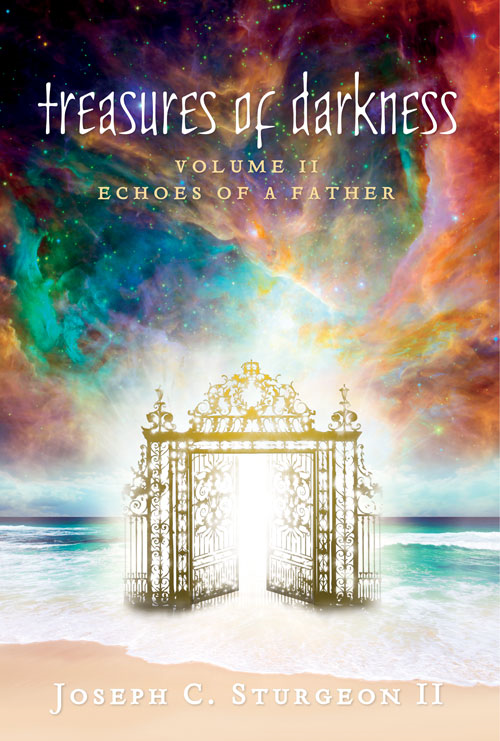 In his second book in the Treasures of Darkness series, Echoes of a Father, Joseph Sturgeon records his experiences and conversations with the Cloud of Witnesses. Through visions and encounters Joseph introduces us to the citizens of Heaven, including Ezekiel, Jacob, King David, Moses, Enoch, Daniel and Einstein, as they invest their revelation into this generation. This timely book is for all interested in relationship with the Cloud of Witnesses, their revelation of the patterns of Heaven and understanding their interaction with the earth. Revelation after revelation, Echoes of a Father is a precious and vital book for those desiring to co-operate with Heaven in this era. There is nothing else out there like it!